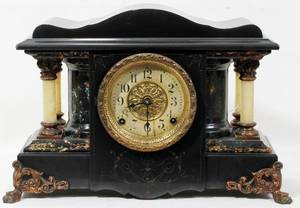 Seth Thomas gilt metal mantle clock, 14 1/2" h.
Seth Thomas gilt metal figural clock retailed by Mitchell Vance & Co.
080044: SETH THOMAS EASTLAKE STYLE MANTLE CLOCK, H 20"
060133: SETH THOMAS EASTLAKE STYLE MANTLE CLOCK, H 20"
Decorative clocks seth thomas time only mantle clock and german bracket type clock. 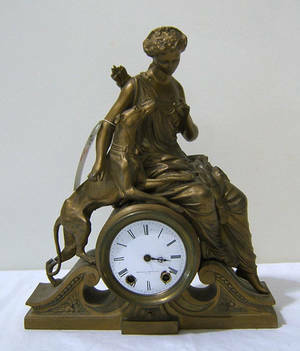 together with sterling rim dresser and gorham sterling frame. 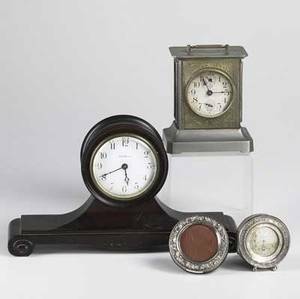 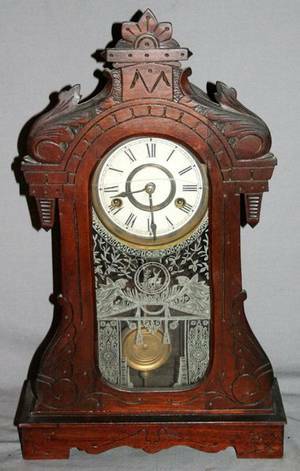 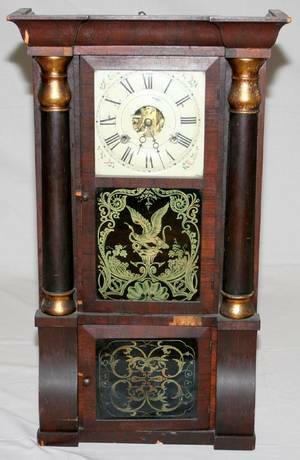 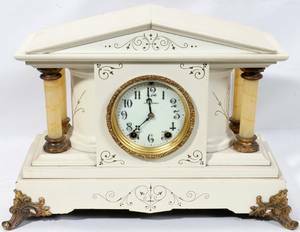 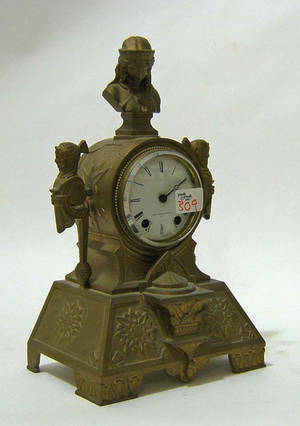 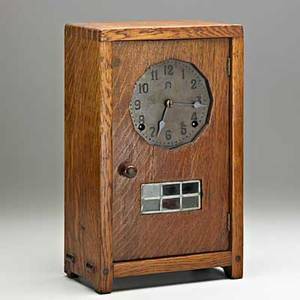 largest: 13 1/2" x 3 1/2" x 7 3/4"
Seth thomas; gustav stickley; mantle clock, eastwood, ny, ca. 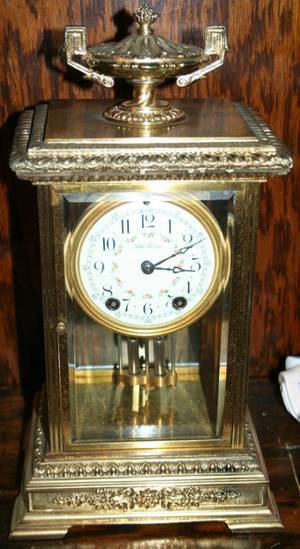 1910; oak, brass, leaded glass; als ik kan stamp; 14" x 8 1/2" x 5 1/2"